Why Choose WebEasy Professional 10? Because you can build a great website in just one hour. WebEasy guides you step-by-step with built-in templates and e-commerce tools - no programming or HTML knowledge are needed. Everything you need to create an impactful website is included in every WebEasy package. In just one-click WebEasy publishes your website in minutes for the world to see. New Website Template Gallery Completely redesigned website assistant lets you browse and preview hundreds of cool designs directly in any browser. New Website Style Gallery Hundreds of styles that add fonts, colors, links, backgrounds and more to any template in minutes. New and Improved Google Maps Easily one-step process adds Google Maps directly to your website. Makes it easy for visitors to find your store, office or other locations. 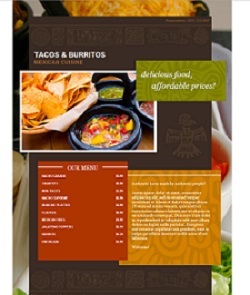 New Cutting-Edge Website Templates Including restaurants, photography, wedding, construction, outdoors, products/services, medical, real estate, gardening and more. 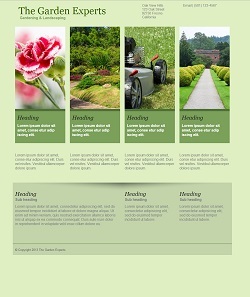 Easier Than Ever to Use New workflow makes creating your website simpler and more intuitive than ever. 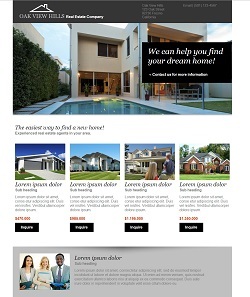 Choose from 1000’s of professionally designed website template combinations for business, club, team, organization, school and home use or create your own completely unique look. 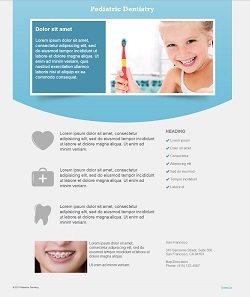 WebEasy website templates are custom designed by Website design professionals. Each site includes unique pages and working navigation and links. WebEasy automatically generates HTML code that works with all popular browsers. 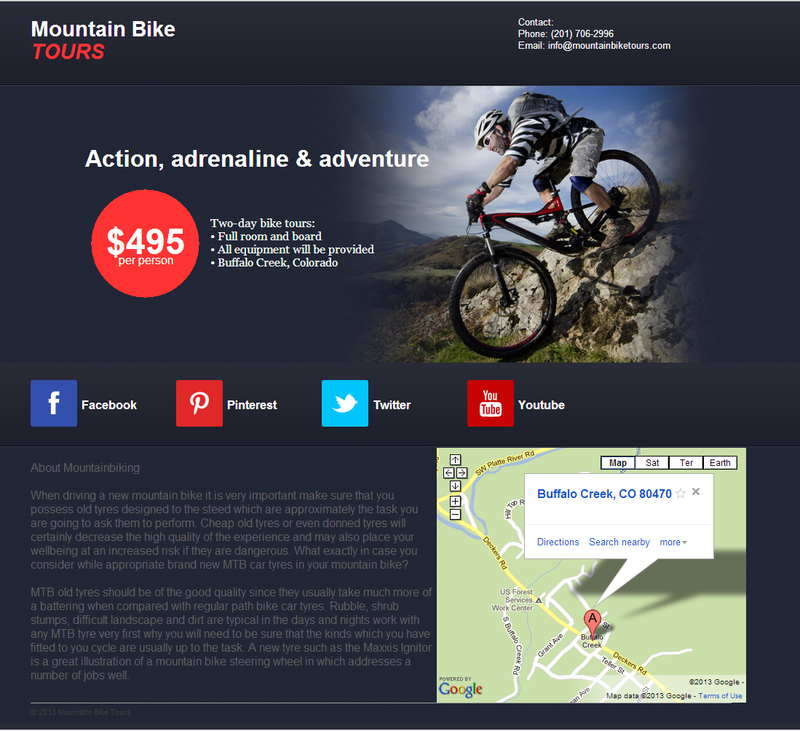 Add or delete pages, change links, fonts, images, text and background colors. Edit text right on the page or replace it by pasting in your own. Simply drag your photos, forms, services, objects and animations directly into the layout. Insert dynamic forms into your website to collect contact information from visitors and then turn them into customers by sending promotional emails and newsletters. Build a professional image and attract customers worldwide with your own personalized domain name (www.KelleysKitchen.com). If you already have a domain name, we can transfer your registration for you. Just call us and we will take care of everything. 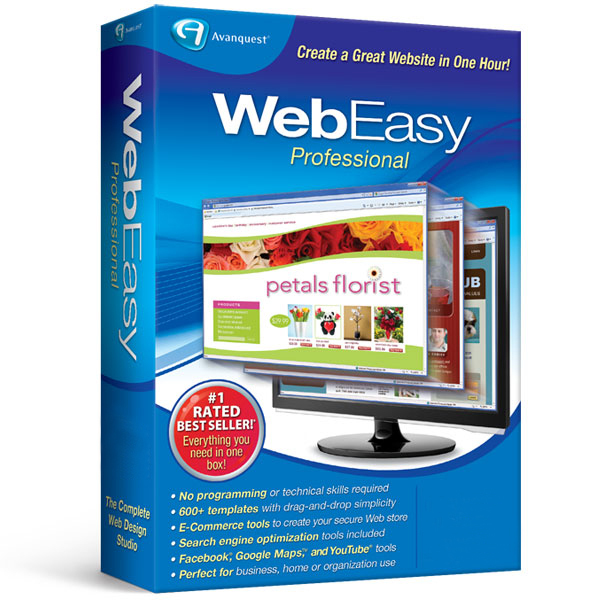 Create an efficient and compelling online store using WebEasy. WebEasy provides everything you need - shopping carts, real-time, secure transaction processing, email capture and more. Use the SEO Assistant to improve the visibility of your website by storing the page title, keywords and description within each page so search engines and people can find you. Our eBay Web Page Wizard allows you to generate web pages that are compatible with eBay. Increase your eBay sales with professional-looking pages! Add a PayPal Shopping Cart to your website and ring up sales at your customers' convenience, 24 hours a day. PayPal Shopping Cart lets your customers purchase multiple products and services from your site with a single payment. Use the built-in wizard to select your photos, choose from several photo page themes, insert any descriptions and Web Easy does the rest. Share your favorite memories today! Create a personal blog to share your thoughts and photos with friends and the world. Create podcasts for music, videos, news and announcements and host them on your website. Web Easy does all the work for you automatically. 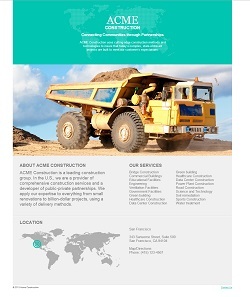 Compatible with Internet Explorer, Firefox, Google Chrome, Safari and more, with iPhone® and Smartphone optimized website templates. 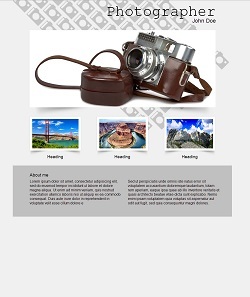 Slider Zoom In and Out Controls for easier viewing and enhanced page navigation. Versatile Spell Checker helps give you an error-free, professional-looking website to attract traffic. Includes auto-correct, word suggestions, customization tools and more. YouTube Streaming embeds streaming videos and other popular relevant videos directly onto your site. Uploading videos on YouTube about your website gets you noticed and ups website traffic. Social Media Integration makes it easy for you to incorporate Facebook®, YouTube® and more popular Web services onto your website. Picasa – Show a Picasa public album or selected photographs. Industry specific templates with headlines, text, photos and graphics. 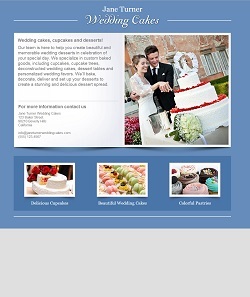 Professionally designed websites for business, school and home use. 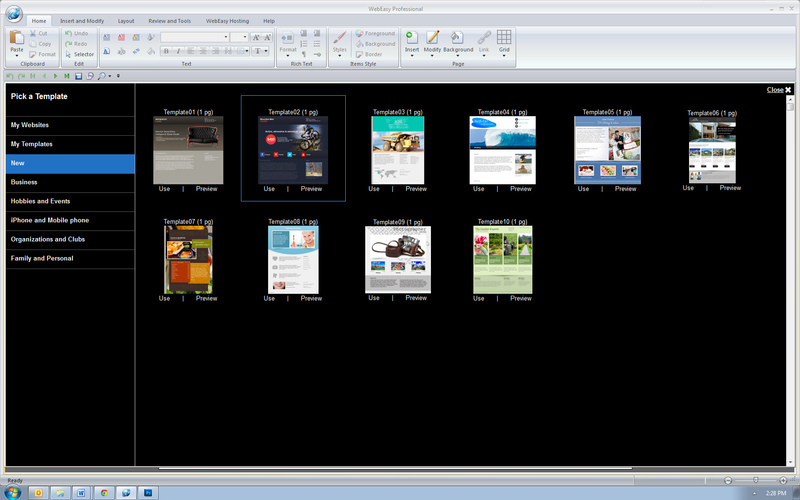 Templates include ready-to-use images and industry-specific text. 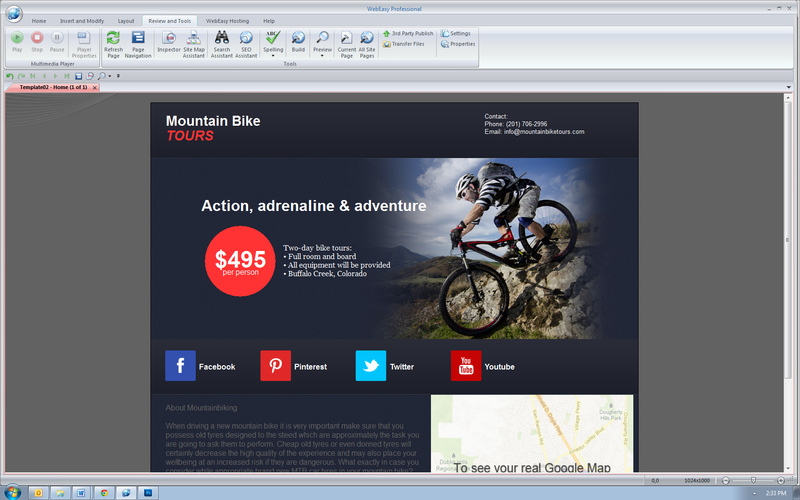 Easily add and edit text, logo, images, fonts and links.name. Add Google Maps, Facebook and Twitter link sharing buttons. Insert SEO on each page with titles, keywords, and descriptions. Publish your site directly from within WebEasy. Get domain name and email addresses. Even launch an e-commerce business.